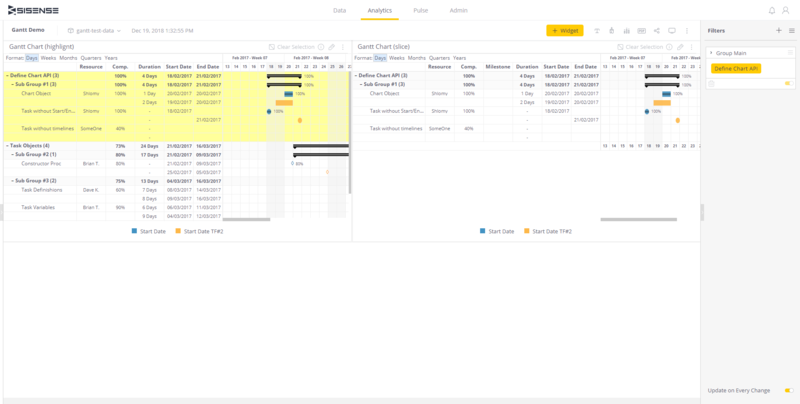 The Gantt chart widget allows you to visualize tasks and resources over time. 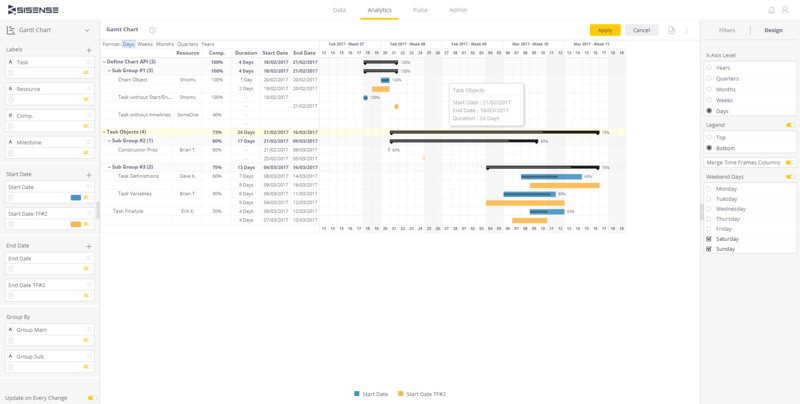 The horizontal axis of the Gantt chart shows a time scale and the vertical axis shows a set of resources. 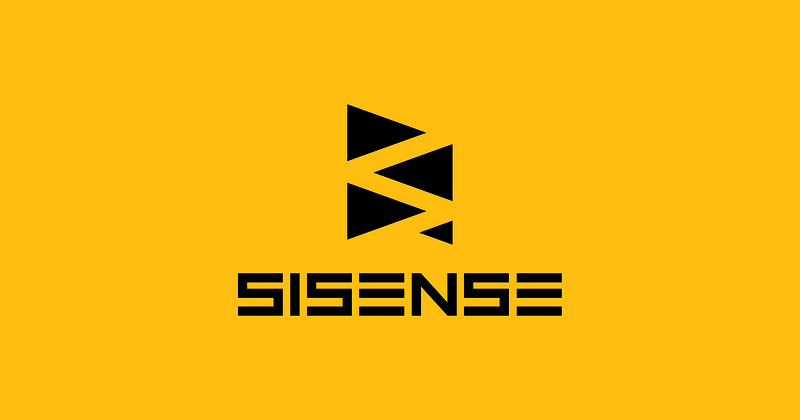 It is used in layout deliverables in project management, for scheduling production processes, employee scheduling and other duration-oriented resource management activities. 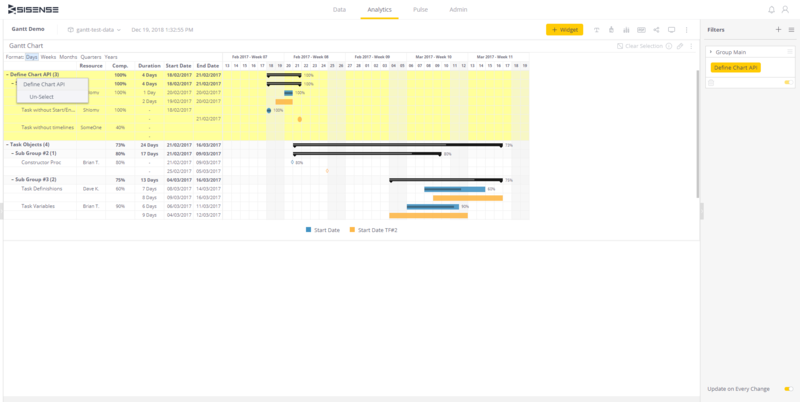 Exported image of gantt widget displays regular bar instead of circular (as a point) for representation of time frame with only one start/end date.